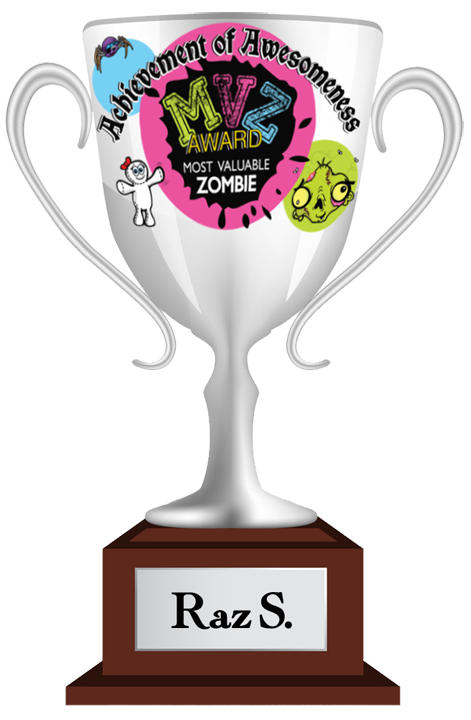 Most Valuable Zombie! - ZOMBIE SQUIRTS! MOST VALUABLE ZOMBIE AWARD PAGE! 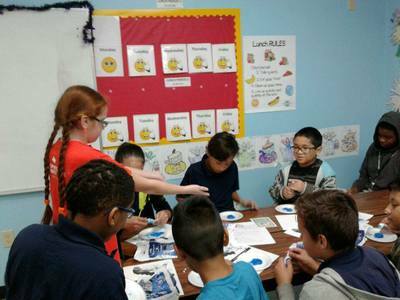 Do you know of great kids doing great things in their community? • Are your kids helping the less fortunate? 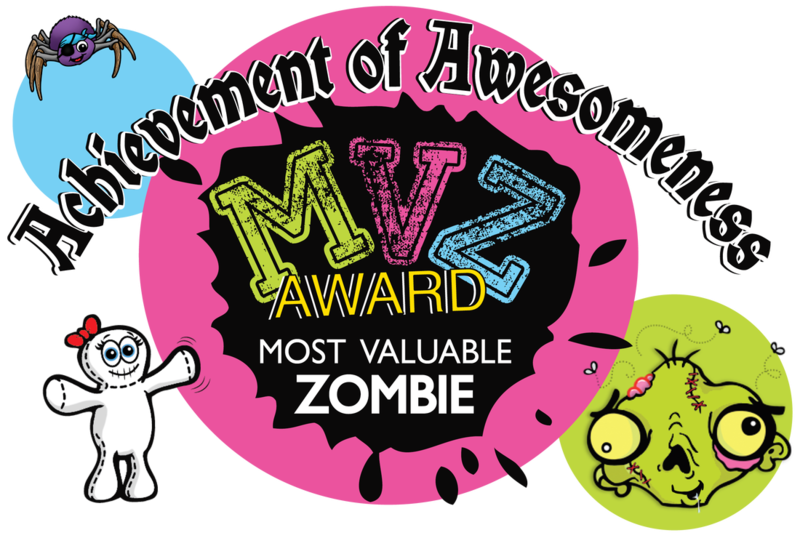 We want to hear ALL about them and present those kids with Mamma Z's Most Valuable Zombie Award! As well as, let the world know about the good-doings they've done and future goals! Want to be featured? It's easy! 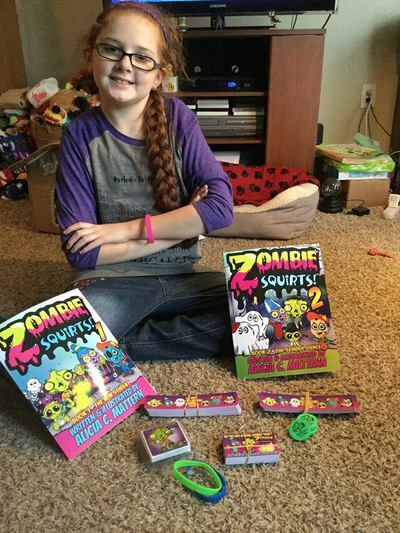 Just email Mamma Z at mammaz@zombiesquirts.com with a photo of your kid(s) with the Zombie Squirts books, plus photos and a full description of accomplishments and future community goals. 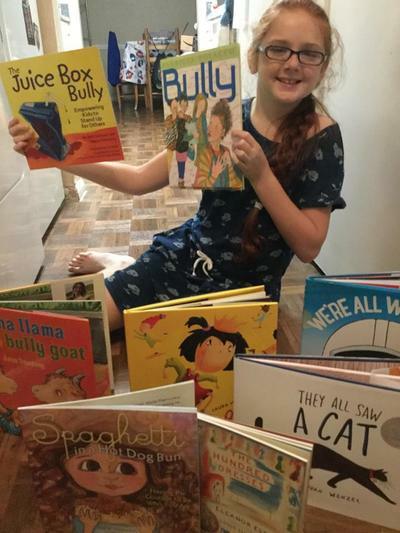 We will then share these amazing stories on this webpage, blog, social media, plus a YouTube video for Mamma Z's Anti-Bully Channel (Mamma Z's ABC). ​No personal information will be shared. Only first name and state of residence will be used. Let's Show the World How Kids DO Make A Difference! We're Pleased to Announce Our FIRST MVZ! WOW!! What can we say about Raz?! 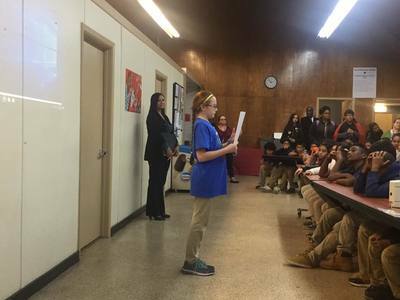 This young woman is a driven, compassionate soul who teaches character education in several schools and is spreading her message with the help of athletes, colleges, and celebrities. Her proud Mother, Erin, told us all about her elementary visits and said Raz wanted to include the Zombie Squirts in with her materials. We are honored to be a part of Raz's strong, positive message and look forward to seeing her future accomplishments! Raz, YOU are truly a STAR! "Raz was a victim of pretty bad bullying when she was in the fourth grade. She was cussed out everyday, property stolen, clothes destroyed, etc. The bully actually said it was because she got all the answers right and never got in trouble and that made him look bad. She eventually changed schools because of it. 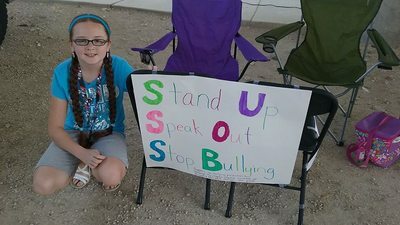 At the beginning of her 5th grade year, she realized her school didn't have an anti bullying program in place and she wanted to do something about it. 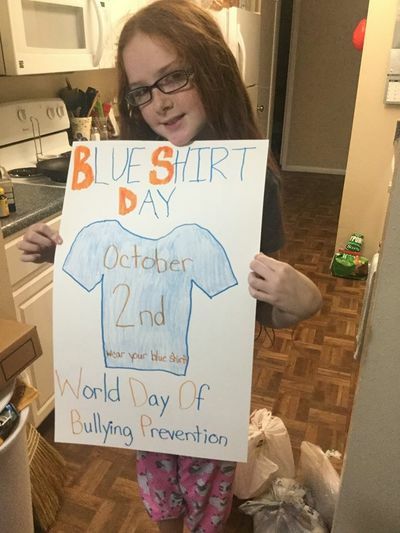 October is Bullying Prevention Month, so she launched a month long campaign at her school. 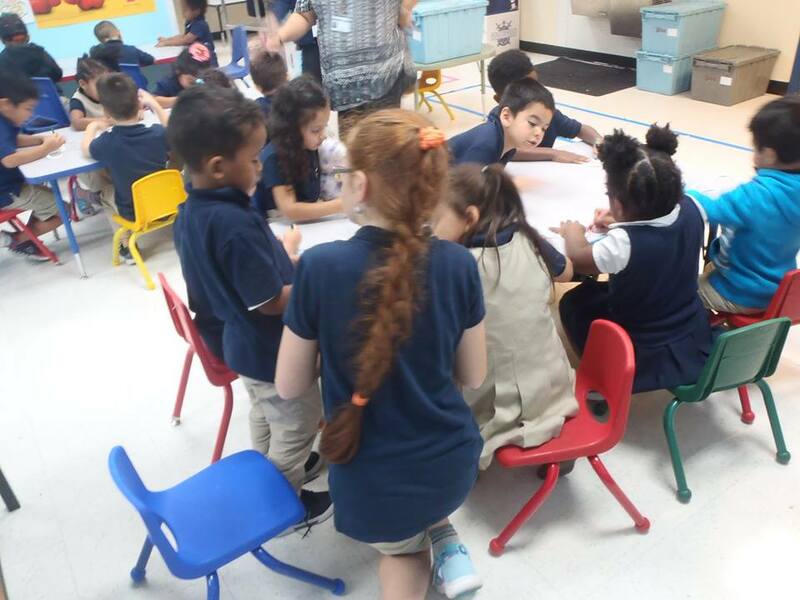 She went to every classroom once a week and co-taught a character education lesson with the counselor. She had themed days, and activities for the entire month. 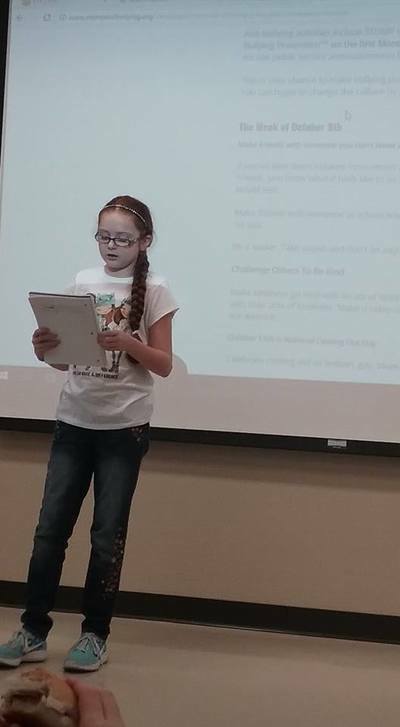 She wrote a speech about her experience and collected videos from celebrities that were willing to participate in her campaign and speak about standing up for others. She ended the month with an assembly to present her speech and all the videos she had collected. She also created a Kindness Givers club this year, and had bracelets and stickers for the students. The following year she entered 6th grade at a campus that has 6th through 12th grade. She decided that she wanted to bring a campaign to that campus while maintaining what she had started at the elementary school. Beginning in August that year, she did fundraising so she could begin building a library of books that she could use in teaching character education classes and to also pay for bracelets to be made, and other incentives. She ended up having 2 elementary schools and 3 middle and high schools participate. Raz wrote the lesson plans for the elementary schools she couldn't visit every day, and taught the lessons at her old elementary... this time without the counselor helping! For the middle and high school students, she issued a book and essay challenge and worked with Santikos Theaters to donate movie tickets to use as prizes. 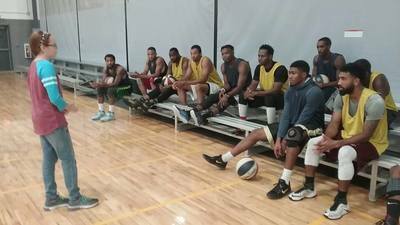 She made connections with a local ABA basketball team, and a college honor society, and got them involved, plus collected new celebrity message videos, and wrote two new speeches (one for elementary and one for middle/high school). 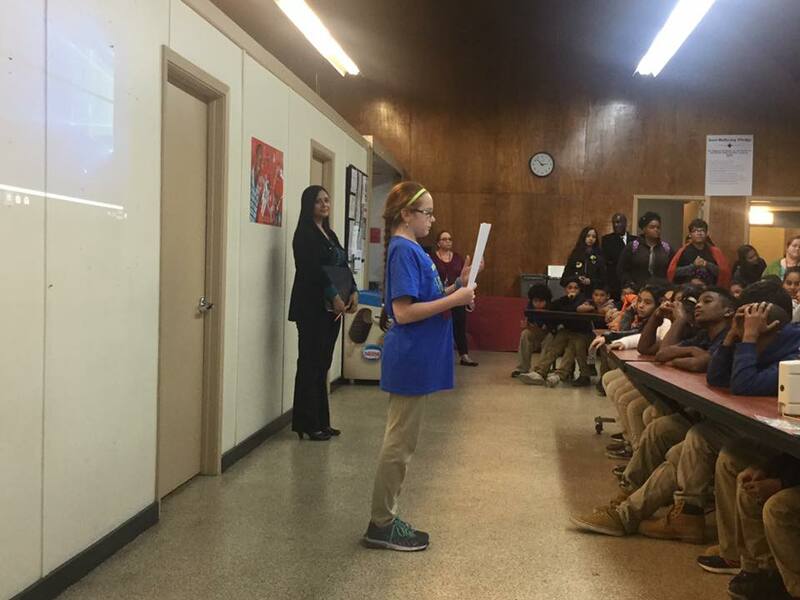 She visited all five schools with an assembly to end the month, and was able to bring some professional soccer players in as speakers at one campus. She was also able to use her fundraising to provide anti bullying posters for each school she worked with.